The Technical Workshop has become an annual tradition for everybody working in technical fields in the juice industry, from quality managers to R&D people to staff working in the laboratory. The Technical Workshop has become an annual tradition for everybody working in technical fields in the juice industry, from quality managers to R&D people to staff working in the laboratory. With very low registration fees, compared to “regular” conferences in the industry, it should also give the employees that normally don`t go to conferences the chance to learn about new developments, discuss relevant topics and establish networking with fellow col- leagues. 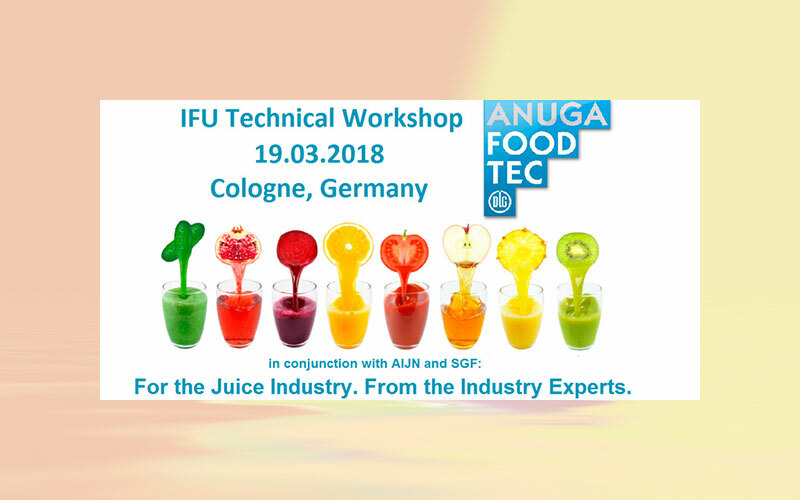 The IFU Technical Workshop 2018 will be held on Monday, March 19th, in Cologne – just one day before Anuga FoodTec.